Fill your plate with the most nutritious foods for you and your baby. Breastfeeding moms are the sole source of nutrition for their young infants. For at least the first several months, it’s more important than ever that babies need to consume a healthy and nutritious diet packed with all the right vitamins and nutrients. Breastfeeding moms need 330 more calories every day than the average non-pregnant woman. In addition to that, nursing women should up their intake of specific vitamins. These include DHA (an omega-3 fat), choline, and iodine, says Elizabeth Ward, M.S., R.D., author of Expect the Best: Your Guide to Healthy Eating Before, During, and After Pregnancy. She notes that most breastfeeding moms aren’t getting enough of the latter two nutrients by a long shot. To help ensure you’re fueling yourself with the right nutrients for you and baby, here are some dietitian-approved superfoods for breastfeeding moms. It’s important to avoid certain fish, particularly types high in mercury, both during pregnancy and while nursing. Fish that should be off the menu until you’re no longer breastfeeding include swordfish, king mackerel, tilefish, and shark (should you be so daring!). However, fatty fish such as wild or farmed salmon, pollock, catfish, shrimp, and canned light tuna are safe—and recommended! “Fish supplies DHA, a brain-building fat, as well as protein, vitamins, and minerals,” Ward explains. Eggs provide high-quality protein for mom and baby. Additionally, Ward says they’re also a source of more than a dozen vitamins and minerals. Choline, in particular, is a nutrient found in eggs. Don’t be afraid to eat the yolk. In fact, that’s where all the nutrients are, with the exception of a few grams of protein found in egg whites, Ward adds. If yogurt was an important staple in your pregnancy diet, keep it coming—especially the whole-milk, full-fat kind. “Fat provides a concentrated source of calories to help meet your body’s increased energy needs,” says Alissa Rumsey, M.S., R.D., C.S.C.S., owner of Alissa Rumsey Nutrition and Wellness. “Greek yogurt is an excellent source of protein. It’s also easy to eat when you’re on the go or busy taking care of your baby.” In addition, Rumsey points out that dairy provides calcium. This is crucial as studies have shown that women often lose 3-5 percent of their bone mass during breastfeeding. Besides dairy products, other sources of calcium include green vegetables, such as kale and collard greens. “Enriched whole grains are fortified with folic acid, which all women of childbearing age should be consuming on a regular basis to help prevent birth defects should they become pregnant,” Ward says. You should aim for approximately 500 milligrams per day. This will help you reach your recommended dietary allowance of folic acid. 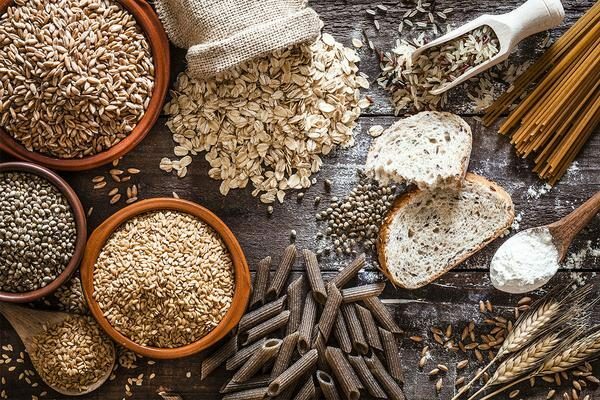 Additionally, whole grains can ease some pesky postpartum symptoms, such as constipation. 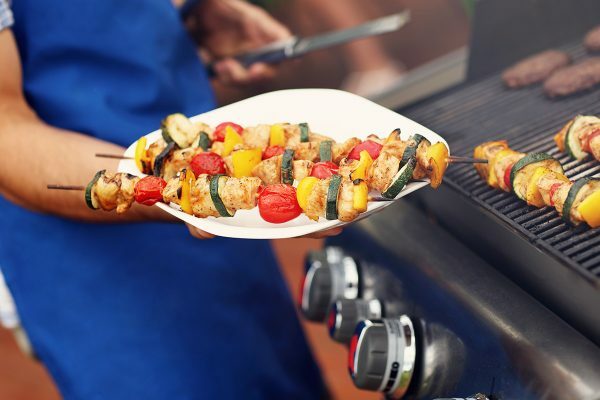 Dietitians share their favorite Whole30-approved recipes to bring to summer barbecues.